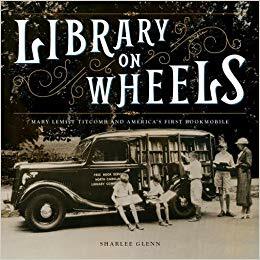 Sharlee Glenn is the author of Library on Wheels: Mary Lemist Titcomb and America's First Bookmobile, a new book for kids. 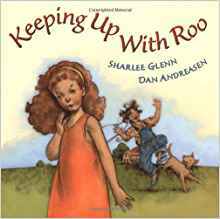 Her other books include Keeping Up with Roo and Just What Mama Needs, and her work has appeared in various publications, including Cricket and Segullah. 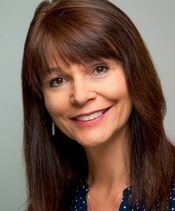 She lives in Pleasant Grove, Utah. Q: How did you first learn about Mary Lemist Titcomb, and why did you decide to write this book about her? A: I ran across a reference to Mary Lemist Titcomb as I was doing research for a different book, and I was immediately intrigued. A woman had invented the bookmobile!? 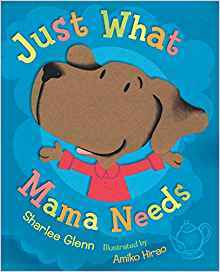 I immediately turned my focus to learning everything I could about Mary and her book wagon. Q: You note that you used a bookmobile as a child in Utah. How would you describe Mary Titcomb’s legacy, and how did it affect you personally? A: Oh, how I loved the bookmobile! My father died when I was five years old. There were seven children in our family, and so money was scarce. We lived out in the country--about 15 miles from the nearest library, and so we didn't have access to books at all, besides the few we owned, during the summer. But every two weeks, the bookmobile would come to our little farming community and we could check out as many books as we wanted. I like to say that as a child, I didn't have much in the way of worldly opportunities, but every two weeks, the bookmobile brought the universe to me. I'm quite confident in saying that, were in not for the bookmobile, I would not be a writer today. Mary came up with her idea for the bookmobile--a horse-drawn wagon fitted with shelves for books--in 1905. It was a great success and Mary spent the rest of her life promoting the virtues of what she called "the rural distribution of books." Mary believed that books were for everyone--not just the rich, not just men, not just city dwellers, not just adults. Soon book wagons began appearing all across the country. By the 1960s and ‘70s, there were nearly 2000 bookmobiles in the U.S. serving over 50 million people in rural communities. Q: The book includes some wonderful photos and other documents. How did you find them, and how did you research Mary Titcomb’s life? A: It wasn't easy! Not much had been written about Mary--and a lot of what had been published was inaccurate (including her birth date and her death date). So it was all new research. I spent a lot of time searching through census reports, birth and death records, school catalogues, old newspapers, ship passenger lists, and the like. It was like being a detective! The real breakthrough happened when I was able to track down two relatives of Mary's--a great-niece living in Oregon and a great- grandnephew living in Vermont. They were able to provide me with copies of handwritten letters, family photographs, etc. Most of the photos of the book wagon itself--and subsequent book wagons in Washington County, Maryland--are from the collections of Western Maryland's Historical Library. Q: What does her life say about women’s experiences during the late 19th and early 20th centuries? A: Mary was a woman of great courage and determination. She was a pioneer in the field of librarianship in a day when the only real careers open to women were teaching or nursing. And she never gave up, despite the many obstacles that she encountered. There were many people who told her that she couldn't do what she wanted to do, but she did it anyway. A: I've got a middle grade novel entitled Beyond the Green coming out this fall. And I'm working on another middle grade novel. I've also started researching my next nonfiction book, which will be about the so-called "Petticoat Government" in Jackson, Wyoming.